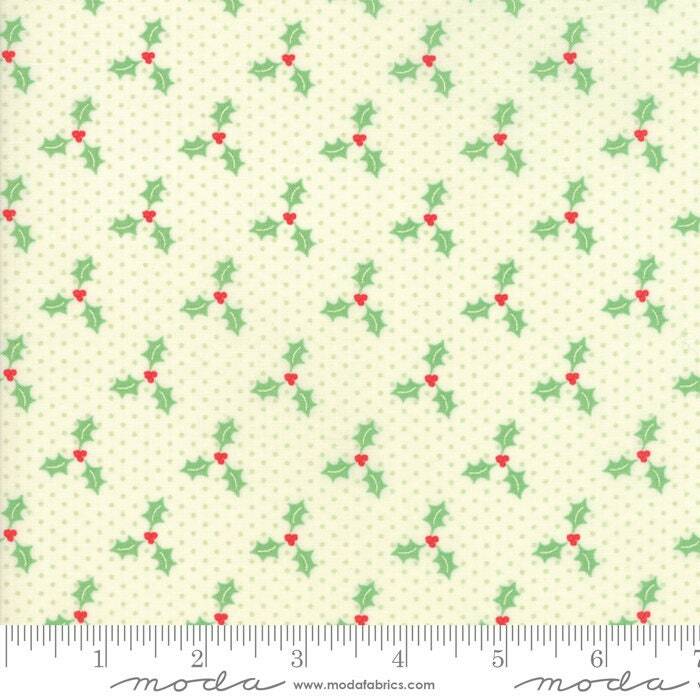 Swell Christmas Green 31126 11 by Urban Chiks for Moda Fabrics. Swell Christmas...when Mom and I saw this collection we knew we needed to have it! All of IT! so we ordered up all of it. It fits right in and there was just no way we could cherry-pick our favorite prints...we love them all! Swell Christmas is like stepping back in time to a place where sock hops still existed, Christmas was about family, games, and food, and Mom wore heels, skirts, and aprons. This collection has the most amazing colors...cream, red, green, and pink and the prints include poinsettias, vintagey plaids, Christmas Trees, Santa Claus, and candy canes. 1 yard...approximately 36 x 44 inches. multiple yards are available...just drop me a convo and i'll set up a listing.